The first job of any story is to hook its reader, but after that initial hook, the story can’t just slack off. It has to keep hooking, keep drawing readers in, and keep making them want to turn the page. An excellent tool for this job is the impossible choice. A well-crafted story will have choices all the way through. Some will be small choices that subtly directly the plot or character arc, while others will have major repercussions on the story. It’s these choices and the reader’s interest in seeing how the tale unfolds that keeps them interested in the story. But to really grab a reader, force your protagonist to make an impossible choice. Impossible choices are those where there is no clear answer, and every option has dire consequences. It often puts the protagonist’s deepest desires, beliefs, or fears at the center of this choice, such as saving the love interest vs. stopping the madman with the bomb, or compromising their ethics to keep a needed job vs. maintaining their integrity and losing that job. Which is what makes the impossible choice so darn appealing. Reading is a voyeuristic activity. We watch the characters struggle to solve their problems, vicariously (and gleefully) living lives we’d never experience on our own. But if the characters sail through those lives without effort, we feel cheated. From a purely technical aspect, choices help us plot, because having to choose a course of action creates action. It gives our characters things to do to drive the story forward. The more interesting those options, the more readers want to see the resolution to the situation. The harder the choice, the greater the draw. Impossible choices create unpredictability, and readers are intrigued by outcomes they can’t predict. Readers read to find out what happens and to see a problem resolved. Obvious outcomes or directions don’t have the same impact as the unknown, because discovery is part of the reading process. It’s the anticipation of what might happen that piques and holds interest. An impossible choice with no right answer makes readers choose a side—and that gets them emotionally invested in what happens. Any time you can get readers to put themselves in the protagonist’s shoes, you increase the chances of hooking them further in the story. 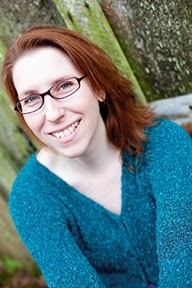 Making them consider what they would do in the same situation creates empathy and a potentially strong emotional connection to the character. The anticipation of the consequences from an impossible choice keeps readers hooked in the story. Tension fuels a strong story engine, and anticipation is at the heart of tension. Tough choices that will inevitably lead to trouble give readers something to worry about, so they keep reading to see how the protagonist will handle those consequences, or avoid them if possible. Impossible choices forced upon a character create sympathy for that character. Remember, not every choice is made willingly. Putting a character into a situation that forces them to make a choice no one would ever want to make, gets readers on that character’s side. They root for them, worry about them, and want them to find a way out of this horrible situation. Is she making choices or just going with the plot flow? Is the right choice always obvious? Do the choices make him question his beliefs or convictions? Are her choices forced upon her? Do the choices lead more often to trouble or to a resolution? Not every choice in a story will be an impossible one, but aim for at least one impossible choice per story. Quite often, this choice ties into the protagonist’s internal conflict, putting their needs and wants at odds. As for scene-by-scene choices, the harder they are, the more interesting the story is likely to be. It’ll be more unpredictable for readers, generate more sympathy for the characters, and build tension all the way through. Impossible choices create stories that make it impossible for readers to put them down. Do you have an impossible choice in your story? 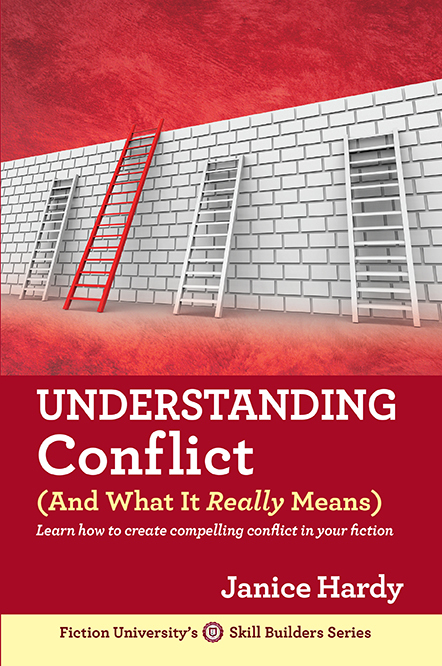 Find out more about conflict,stakes, and tension in my book, Understanding Conflict (And What It Really Means). Great advice, especially in the middle of NaNoWriMo!